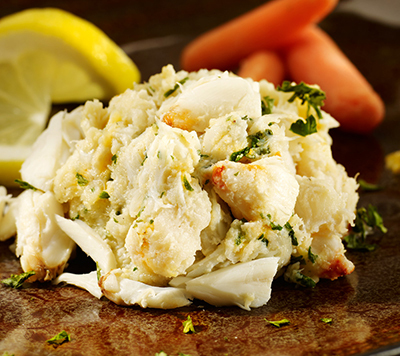 Handmade using a blend of shrimp, crab and scallops. 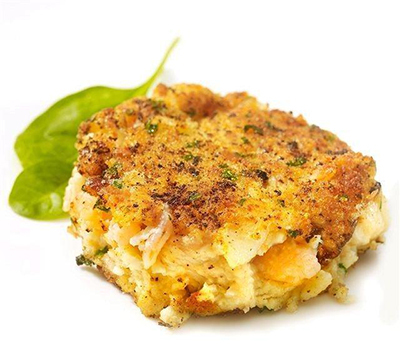 Our incredible seafood cakes contain no filler of any kind. Hand formed for that “In house” look without the in house work. Our seafood cakes are fully cooked. Each 3 ounce cake contains Blue Claw, Jonah, Snow and Rock Crab for a total of 65% crab! Then we pair it with a delicate combination of spinach, parmesan cheese, seasoning and panko breadcrumbs. 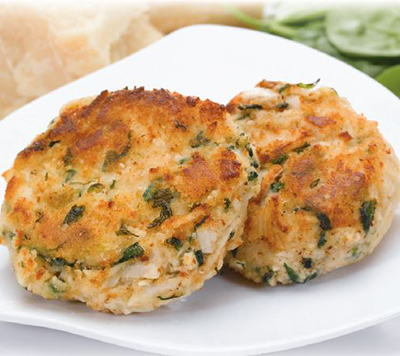 Made with all Blue Swimming Crab lumps, these crab cakes are so loaded with meat (74% Crab content) they ought to have their own shell! We are very proud of these creations! 3 ounce. Each one is handmade from chunks of the finest Blue Swimming Crab! Eye appealing size for sandwiches. 5 ounce or 3 ounce. 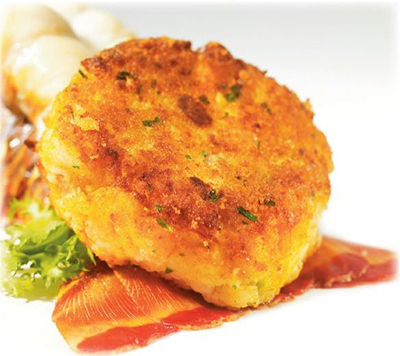 Our incredible lobster and shrimp cakes combine lumps of succulent lobster, savory shrimp and a hint of sherry. Our cakes are handmade and precooked. A pleasant alternative to that run of the mill stuffed clam. 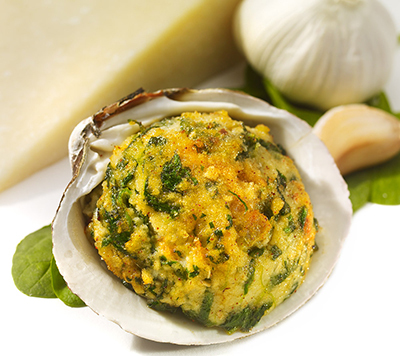 Our stuffed clams contain “no” bread crumbs. 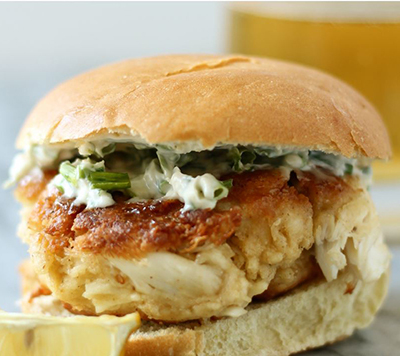 Smooth, creamy and full of clam with a full flavor profile. 4 ½ ounce.